From the moment the infamous white gloves appear on a screen you feel the excitement and anticipation of what is to follow. 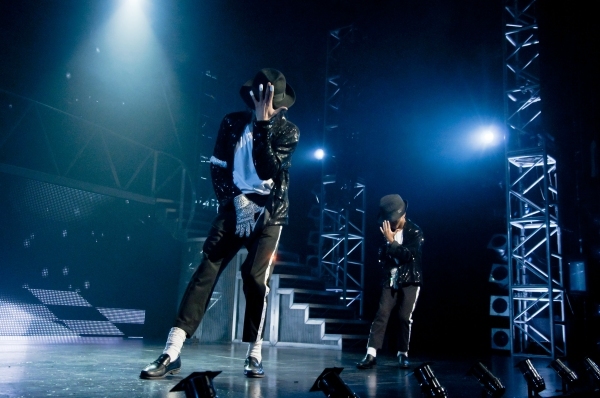 It is no disappointment as the talented and energetic cast lead you through the back catalogue of Michael Jackson’s hits. Do not expect an intricate plot when you come to see the show, but you will be gently led through the decades by Britt Quentin as he provides useful introductions to the eras. Eshan Gopal gave a charming performance as young Michael, with a reminder of those early Motown days when Michael performed with his brothers as the Jackson Five. As they grew older they became the Jacksons and the medley of some of their disco hits was memorable. Throughout the show we are treated to a succession of hits by the soulful voices of Britt Quentin, Zoe Birkett and Andrae Palmer. Ricardo Alfonso provides the vocal gymnastics with his excellent rendition of Michael’s rock hits such as Dirty Diana. The dancers are an integral part of the show and their talent is a sheer joy to watch. Lead dancer David Jordan and Gopal earned a well deserved standing ovation when they recreated the iconic Billie Jean. 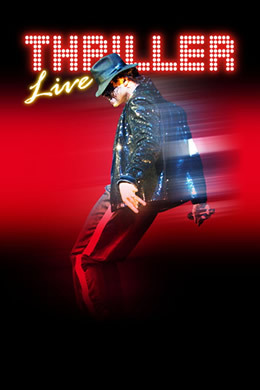 We may have lost Michael but as long as Thriller Live remains, we Never Can Say Goodbye to his music and dance legacy. Michael Jackson is definitely the king. When i listen to his songs i feel like he is still alive. Definitely one of the biggest pop music superstars ever!